A real barista knows the secret of making the perfect coffee - from Ristretto to Flat White. He knows the right order for the ingredients to flow into the cup, in accordance with the original recipe, and he remembers how you like your coffee. Capacity: More Than 1000 Cup/hour. Capacity of more than 1000 cup/hour. 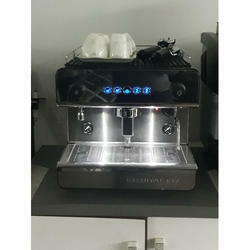 We are engaged in offering Prestige Espresso Makers. - Patented Autocappuccino System: get your perfect Cappuccino or the italian Caffelatte. - Personalizingthe coffee as often as you want has never been easier. Choose from short, medium or long, try a strong or extra mild aroma, enjoy it piping hot or at medium temperature. For catering the variegated needs of our clients, we are deeply engrossed in offering a qualitative array of 45 Litre Tea Coffee Espresso Machine. Automatic espresso machines provide you - cup after cup - coffee made from coffee beans, freshly ground at the touch of a button. 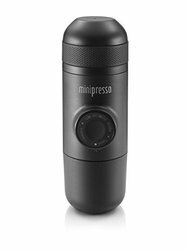 From a shot of espresso to a café lungo, cappuccino or latte macchiato with fresh frothed milk from the integrated milk frother. And options to customize your coffee every step of the way.